Norwich leapfrogged Leeds into top spot in the Championship as they turned in a performance of the highest order to beat Marcelo Bielsa's side 3-1 at Elland Road. Mario Vrancic's curling free-kick after five minutes set the tone, and Teemu Pukki's 18th league goal of the season in the 35th minuted silenced the energetic home crowd. Vrancic added a third from Jamal Lewis' cross (78), before former Canaries loanee Patrick Bamford ghosted into the penalty area to head home a consolation for Leeds in stoppage time (90+1). The result puts Norwich top on goal difference - with both sides now level on 57 points - and with Daniel Farke's side boasting the more favourable run in the coming weeks, this could prove to be a pivotal result come the end of the season. 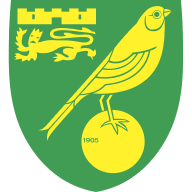 Given the rewards at stake, the game's first goal was always going to be important and inside the first five minutes, Vrancic gave Norwich the upper hand with a sublime free-kick that deflected off Adam Forshaw on its way to crossing the line. The visitors continued in search of a second, but before long they were placed under such ferocious pressure from the hosts that they were camped inside their own half, with Ezgjan Alioski's first-time volley from Jack Harrison's deep cross whistling narrowly beyond the far post. There seemed to be no let-up in the incessant Leeds attacking, yet before they could convert their dominance into an equaliser, Pukki slotted the second against the run of play after Vrancic's strike was blocked into his path by Pontus Jansson. 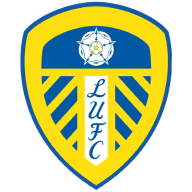 For Leeds, Kalvin Phillips and Jack Clarke were left out of the starting eleven and replaced by Pontus Jansson and Tyler Roberts - who made his first start since October. Norwich boss Daniel Farke, meanwhile, named an identical starting lineup to the one that drew 2-2 with Sheffield United last time out. Bielsa sent on Jack Clarke and Barry Douglas to inject renewed vigour at the break, but the inability to bring either into play affected Leeds' chances, which were infrequent. Alioski was denied a close-range tap-in from a low Clarke cross, though, but it soon paled into insignificance as Vrancic struck a third past Kiko Casilla after Lewis' cutback. By then, the visitors were playing without fear, but they were denied a clean sheet to round off a near-perfect evening when Bamford forced Tim Krul into a fingertip save, before heading home a consolation from the resulting corner. A performance that won't be remembered solely for the two eye-catching goals the Bosnian scored, but also for his excellent work-rate in helping to hold off Leeds during their intermittent spells of pressure. 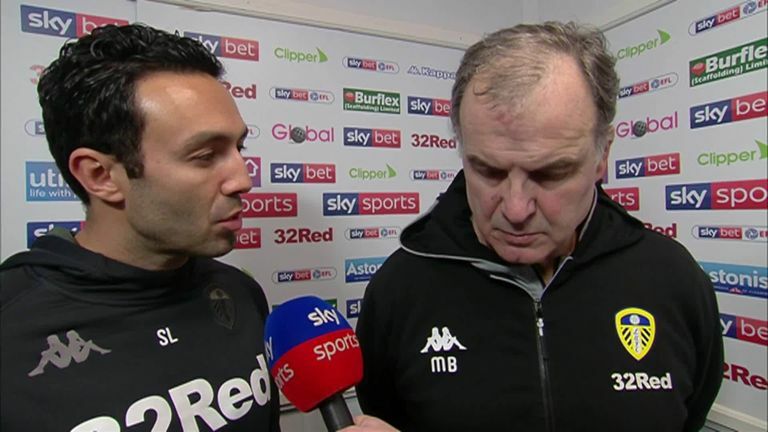 Marcelo Bielsa: "In the first half, for all the positive moments we had, we couldn't take advantage. We made mistakes in front of our box, so we helped the opponent to create chances and after the opponents scored, it was hard for us to recover the ball. "This is an indication that the team is not doing very well right now." 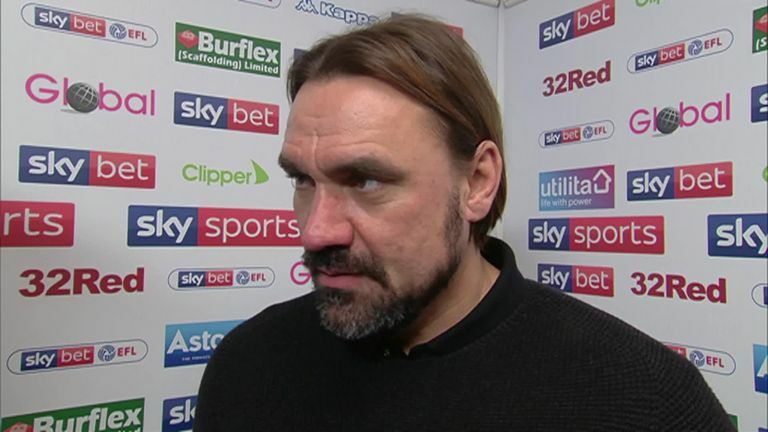 Daniel Farke: "That's a well-deserved win because it was a close game and Leeds were highly motivated to be successful after their last win. I think they started pretty well, but I think it was totally deserved to go and lead at half-time. "My feeling was, in the first half, our possession was not at its best and we had some problems with our pressing. We spoke about this at half-time and I was pleased with the second half. Leeds wanted to put us under pressure, but we didn't give them a chance." 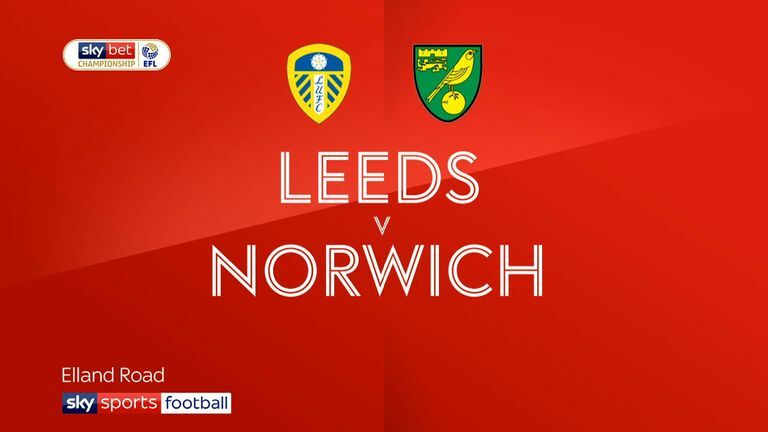 Leeds travel to Middlesbrough next Saturday, in a clash that gets underway at 1pm, while Norwich host Ipswich next Sunday at noon in the East Anglian derby, live on Sky Sports.